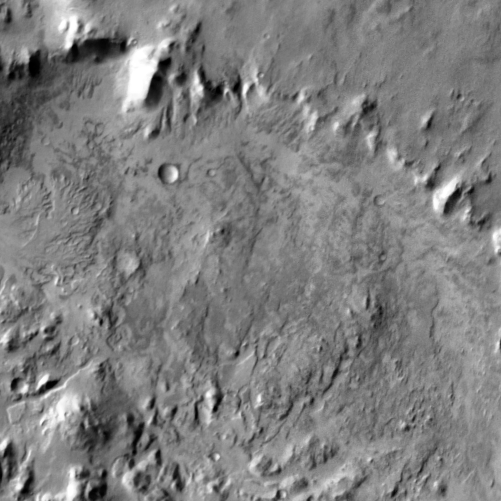 New data from THEMIS is helping scientists choose a landing site for the Mars Science Laboratory (MSL), NASA's next-generation rover spacecraft, due for launch in fall 2011. MSL's mission is to assess whether Mars ever was, or is still today, an environment able to support microbial life. To put it another way, the rover's mission is to determine the planet's habitability. MSL will study Martian soil and rock samples and analyze them for organic compounds, the chemical building blocks for life. At a workshop in fall 2009, scientists chose 4 sites (PDF) as possible landing site locations. Since then, several additional sites have been proposed and after further study, one or more may be added to the four already identified. Scientists are collecting data on these sites to evaluate both their scientific merit and engineering feasibility. 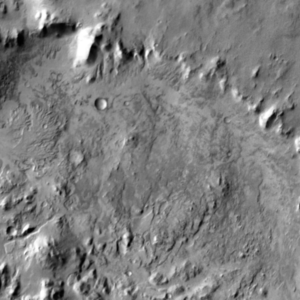 NASA will chose the final landing site in spring 2011. The site-support work at Arizona State University's Mars Space Flight Facility seeks to improve our understanding of the physical and mineralogical characteristics of the candidate landing sites to help select the best site for MSL. Researchers are preparing THEMIS-derived daytime infrared (IR), nighttime IR, visible, thermal inertia, and decorrelation-stretched mosaics for each MSL candidate site. These mosaics are created in collaboration with Robin L. Fergason of the United States Geologic Survey Astrogeology Science Center in Flagstaff, Arizona. View the final four candidate sites, plus all the previous candidates. If scientists add sites to the list, they will be added to that page. View the four sites with updated DCS images at on the THEMIS MSL support page.